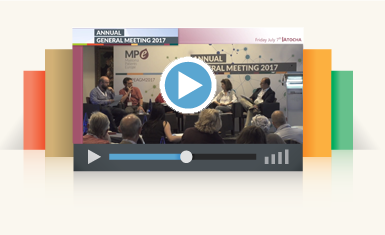 Myeloma Patients Europe’s Board welcomes you to the AGM 2019 candidate elections site. This year, MPE celebrates its fifth elections to the Board of Directors. Our organisation has evolved since its inception in 2012, achieving a stronger organisational structure ready to take up the challenges for the upcoming years. Two of MPE’s current Board members (Ron Dloomy and Biljana Dodeva) will stand for re-election on 17.03.2019. It is highly desirable that the Board is comprised of a mix of professionals that have expertise in the relevant work areas of the organisation. This will ensure the Board is aligned to the organisation strategy and supports high quality decision-making by ensuring there are individuals with the relevant experience to guide discussions. In the event of a tied vote between two or more candidates, a second round of voting will be organised. This will only involve the candidates who were not elected in the first round. Rounds of voting will continue until all the positions are filled. The newly elected Board members will start their term of office immediately after their election. The specific duties of Board members can be found in the MPE Constitution (English version) and in the MPE internal rules.